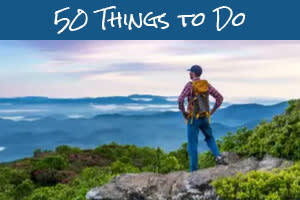 It&apos;s a super weekend to be in Asheville! No matter if you&apos;re watching "the big game" or not, there are plenty of things to do in town in the coming days. When the excitement of the Super Bowl subsides, Asheville hosts a big sporting event of its own. The Fed Cup has just announced Venus and Serena Williams, along with Coco Vandeweghe, will represent Team USA as they take on The Netherlands in Asheville at the US Cellular Center, February 10-11. While these incredible athletes prepare to showcase their skills on the court, top-notch musicians and entertainers are taking the stage in Asheville for a round of great performances. 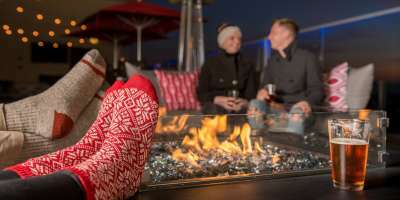 It&apos;s a great weekend to cozy up to Asheville by attending one of their shows or by exploring these 7 reasons Asheville is a perfect winter destination. 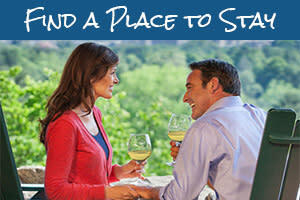 Get started planning your trip by utilizing our easy-to-use search to check room availability and rates at Asheville area accommodations. Will spring be early or late this year? Greta the Groundhog waits all year for the chance to make her prediction. Bring the family to the Chimney Rock State Park Animal Discovery Den to see if Greta sees her shadow. Greta will also predict the winner of the Super Bowl. In 2017, she was right about the Super Bowl winner and spring&apos;s arrival! After the predictions, enjoy family-friendly activities or take a guided hike along the Great Woodland Adventure Trail! Friday and Saturday (Feb. 3-4), 8 p.m.
One of the foremost classical theatre producers in the United States offers a series of performances in Asheville this weekend as part of its national tour. With its signature approach, The Aquila Theatre Company will present William Shakespeare’s Hamlet and Jane Austen’s Sense and Sensibility at the Diana Wortham Theatre in downtown Asheville. Aquila Theatre is known for its laser sharp direction and skilled interpretations of these kinds of classical works. Sense and Sensibility is Friday (Feb. 2) at 8 p.m. The theatre company will perform Hamlet on Saturday (Feb. 3) at 8 p.m.
Sunday (Feb. 4), 6-11 p.m.
Fresh off being recognized as one the nation’s best new bottle shops, Craft Centric Taproom and Bottleshop in Arden hosts a Super Bowl Watch Party. The Amazing Pizza Company Food Truck will be on site to help keep you well fed as you watch the New England Patriots take on the Philadelphia Eagles. They’ll also be pouring beers from 16 taps. Or, you can always choose a bottle from the wall of beer to drink while you watch the game. Friday (Feb. 2), 5-8 p.m. The February show at the Asheville Gallery of Art features the work of two newcomers who have been inspired by what they’ve seen in the wild in the Blue Ridge Mountains. Though they paint in different styles with different mediums, the work of Ana Blanton and Zoe Schumaker share that inspiration derived from nature. Stop by Friday for a reception with the artists. The show runs through the end of the month during gallery hours: 11 a.m. -6 p.m. (Monday through Friday) and 1-4 p.m. (Saturday). Warm up for the Mardis Gras celebration at Pisgah Brewing Company (Black Mountain) Friday (Feb. 2) at 8 p.m. with Bayou Diesel, known for performing a powerful mix of Cajun, Zydeco and Mardi Gras-style dance music. The band features an accordion, rubboard, rhythm section and the occasional French lyrics. Prolific North Carolina songwriter David Childers plays the White Horse Black Mountain Friday (Feb. 2) at 8 p.m. Childers will sing his country/folk-flavored original songs along with bass and lead guitar accompaniment supplied by The Serpents Trio. 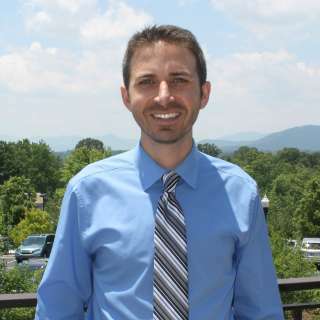 On Saturday night, the White Horse Black Mountain hosts a great lineup of local musicians for a benefit show to help the family of Montreat College track coach Brett Olinger, who was severely injured in a car accident. Sam Anderson, The Karma Mechanics and Wintervals will continue the community’s support of the Olinger family by donating the proceeds from this special concert. It’s another entertaining weekend at Isis Music Hall in West Asheville. Bob Sinclair and The Big Deals kick off the weekend Friday (Feb. 2) at 7 p.m. with their “front porch swing music,” often played around one microphone. At 9 p.m. Friday, David Mayfield and the Maggie Valley Band perform an album release show. The Maggie Valley Band plays a raw blend of Appalachian music intertwined with a heavy sixties influence. And, on Saturday (Feb. 3) at 9 p.m., join The Artimus Pyle Band for a high-energy tribute to the music of Lynyrd Skynyrd. The highly-anticipated Titanic exhibition at Biltmore is set to begin on February 9. The exhibition marks the first-large scale showcase of costumes from the Oscar-winning film. 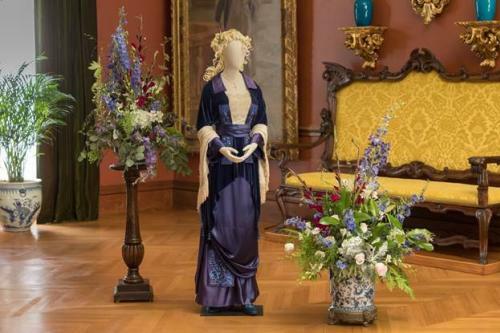 As you view the costumes in America’s largest home, learn about the real-life Biltmore/Titanic connection and a fateful last-minute decision made by George and Edith Vanderbilt. The exhibition will run through May 13, 2018. 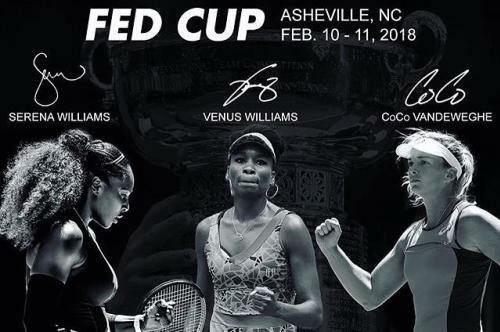 And, don’t miss a rare opportunity to see some of the world’s best women’s tennis players, including Venus and Serena Williams, when Team USA takes on Team Netherlands in the Fed Cup at Asheville’s U.S. Cellular Center February 10-11. The Fed Cup is the world’s largest annual international team competition in women’s sport. Asheville will host the first competition appearance of champions Team USA since they brought home their 18th Fed Cup title in November 2017. Photo credits: Top photo at Pillar Bar by Emily Chaplin. 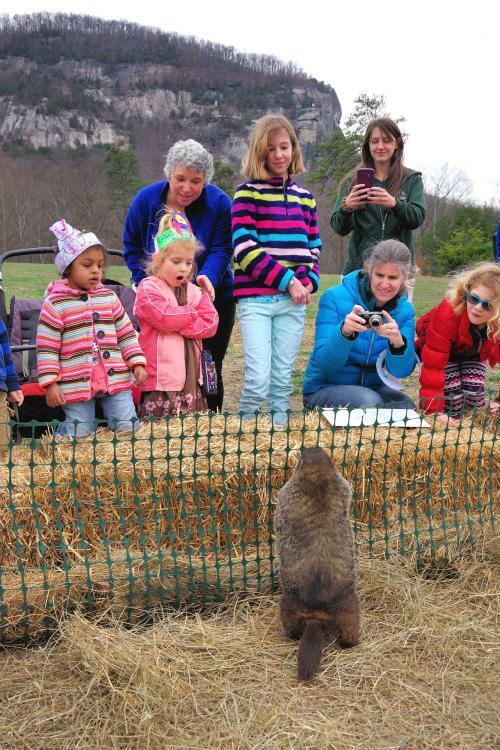 Groundhog photo provided by Chimney Rock State Park. 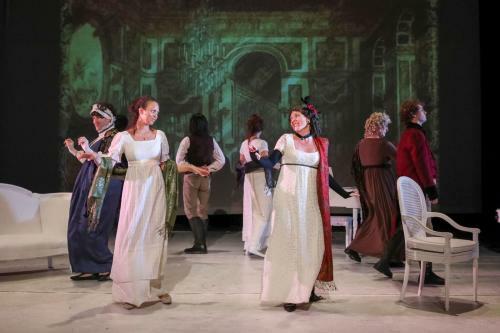 Photo of Aquila Theatre Sense and Sensibility by Richard Termine (provided by Diana Wortham Theatre). Titanic costume exhibition photo provided by The Biltmore Company. Fed Cup graphic provided by the U.S. Tennis Association of North Carolina (USTANC).